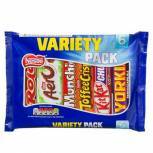 Nestle Variety 6 (Pack Chocolate Bars 264g 12297992 Pack of 1 Thank you for your order from our Spring Savers Brochure - we hope you enjoy your FREE Nestle Variety Packs! 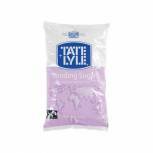 Tate and Lyle Granulated Sugar 3kg TS165 Pack of 1 Tate and Lyle Granulated Sugar. Ideal for use in high traffic kitchen areas. For sweetening food and drink. 3kg bag. Non-Returnable. 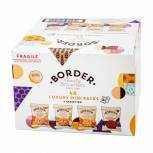 Border Biscuits 48 Twin Packs A08042 Pack of 1 Border Biscuits 48 NWT542. Contains Viennese Whirls, Butterscotch Crunch, Chocolate Chip Brownies and Oat Crumbles. 48 twin packs in one selction box. 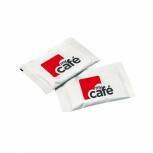 MyCafe White Sugar Sachets (Pack of 1000) AU00377 Pack of 1 These MyCafe sugar sachets provide you with an easy way to sweeten your drinks with a single contained portion. The sugar dissolves quickly to provide a sweet and even taste throughout your drink. 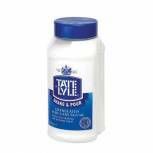 This pack contains 1000 white sugar sachets, ideal for shared kitchens. 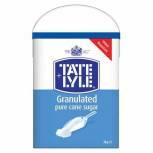 Tate and Lyle Granulated Sugar 1 kg (Pack of 15) A06636 Pack of 1 Tate and Lyle Granulated Sugar. Ideal for use in high traffic kitchen areas. For sweetening food and drink. 1kg bag. Pack of 15. Non-Returnable. 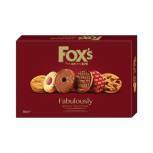 Foxs Fabulously Biscuit Selection 275g A08091 Pack of 1 Foxs Fabulously Biscuit Selection 300g A07926. Luxury assortment of biscuits. Ideal for sharing at home or in the office. Non-returnable. 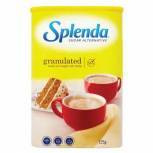 Splenda Sweetener Granules 125g Tub - A08026 Pack of 1 Splenda Sweetener 125g. 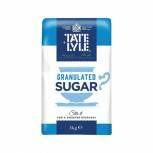 Granulated sweetener for hot drinks, cooking and baking. Low calorie alternative to sugar. 125g pack. 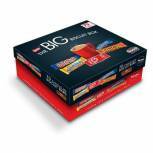 Crawfords Assorted Mini Biscuit (Pack of 100) 99848 Pack of 1 Crawfords Mini Biscuit Packs. 100 assorted portion packs of biscuits in six varieties: Bourbon Creams, Digestives, Custard Creams, Rich Shorties, Ginger Nuts and Fruit Shortcake. Ideal for the office or boardroom. Non returnable. 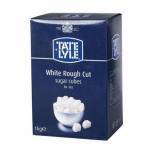 Tate & Lyle Rough Cut White Sugar Cubes 1kg A03902 Pack of 1 Rough cut white sugar cubes. Pure cane sugar. 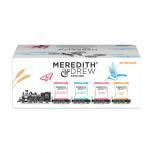 Sweeten tea, coffee and hot chocolate. Great for caterers and shared kitchens. 1kg pack. Non returnable. 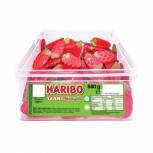 Haribo Giant Strawbs (120 Sweet) Drum 9547 Pack of 1 A giant tub of Haribo soft strawberry chews. Tub contains approximately 120 Strawbs. Great for sharing, celebrations and parties. Bulk pack for excellent value. Non returnable. 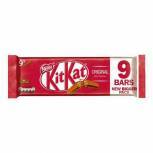 Nestle Milk Chocolate 2 Finger Kitkats (Pack of 9) 12339411 Pack of 1 Nestle Kit Kat Milk Two Finger Pack of 8. Crispy wafer fingers covered with milk chocolate. Non-Returnable. 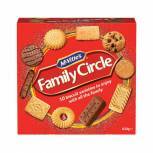 McVities Family Circle Biscuits 670g 35112 Pack of 1 Family Circle Biscuits. An assortment of delicious biscuits supplied in a 720g box. Non returnable. 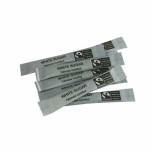 Fairtrade White Sugar Sticks (Pack of 1000) A03622 Pack of 1 Fairtrade white sugar sticks for use in meetings. Conferences etc. 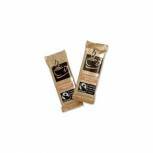 Fairtrade products are sourced from farmers who are rewarded with a fair purchase price. This helps enable them to maintain supply within decent conditions. Non-Returnable. 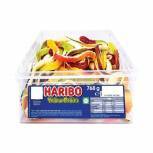 Haribo Giant Yellow Bellies Tub 096444 Pack of 1 Haribo Giant Yellow Bellies Tub 9644. Gummy on one side foam on the other. Large plastic resealable tub. Approximately 30 sweets per tub. No artificial colours. Non-returnable. 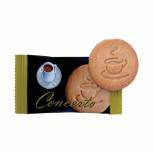 Lotus Caramelised Biscuits A03923 (Pack of 300 Pack of 1 Caramelised biscuits for hot drinks. Individually wrapped. Ideal for coffee shops and conferences. Great with a cup of coffee. Bulk pack of 300 for caterers. Non returnable.